Dhaka, Aug 7 (Just News): A Dhaka court on Tuesday extended the bail of BNP chairperson Begum Khaleda Zia until 5 September in Zia Charitable Trust case. Acting judge Sheikh Nazmul Alam passed the order as judge Md Akhtaruzzaman of the Dhaka Special Judge Court-5 was on leave. Earlier on 31 July, the court of judge Md Akhtaruzzaman extended the bail of BNP till 7 August (today). So far, Khaleda’s bail has been extended for several times in this case. The case was filed by the Anti-Corruption Commission (ACC) with Tejgaon police station in August 2011 accusing Khaleda and three others of abusing power to raise funds for the trust from unknown sources. The other three accused are Harris Chowdhury, political secretary of then prime minister Khaleda Zia, Ziaul Islam Munna, assistant private secretary to Harris and Monirul Islam Khan, APS to former Dhaka city mayor Sadeque Hossain Khoka. 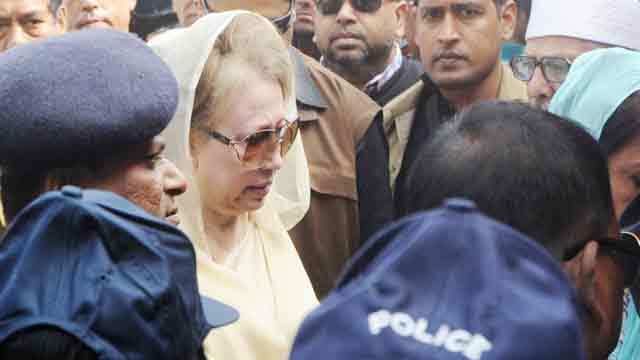 The same court on 8 February awarded Khaleda Zia to five-year jail in Zia Orphanage Trust case. Khaleda, accused in over 34 cases, is currently serving the five-year jail term.